Ah, summer. The hope of big, red tomatoes and juicy cucumbers was the inspiration for what I put into the garden this year. Very late, I might add. It was mid-May before I finally picked out some starts at the nursery. Last year I found a pickle cucumber that made many, many cucumbers at a time so I was hunting for it again but did not find it. Those I found have been big producers as well, but I don't remember what the variety is called of course. Something like Lotsa Pickles or Super Pickling or some silly name. I planted the Persian variety as well, which has been a hit; super tasty, juicy, and there is one ready at least every other day. Next year, more of those for sure. Tomatoes on the other hand have been rather sorry altogether. Between the cloudy days and late start, they have been struggling to grow while flowering at the same time. Next year they will be in the ground by March/April so they have time to grow before the heat sets in and makes them flower. Powdery mildew is also working its yucky magic on the vines. Oh well. Every year is different than the last and each year I learn new things as well as figure out what I did right in previous years. Other things in the garden right now: catnip, lemon balm, lavender, potatoes, rosemary, oregano, marjoram, thyme, kale, arugula, Anaheim chilies, goat weed chili, beets, banana squash, and artichoke. 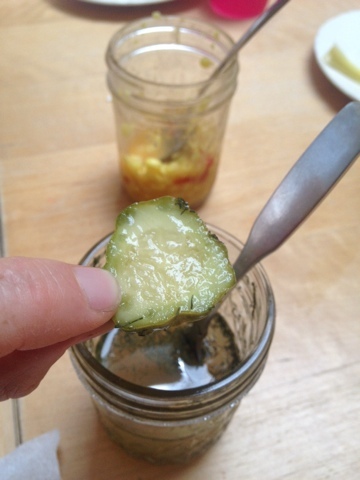 These are garlic pickles made from cucumbers we grew. 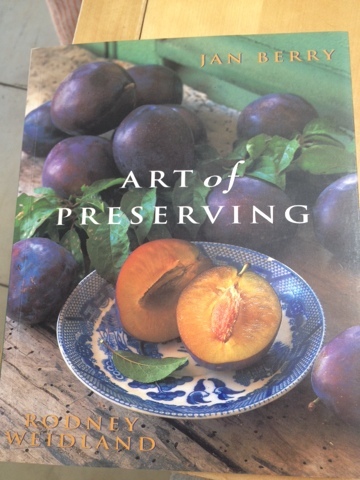 The recipe is simple and you can find it here. 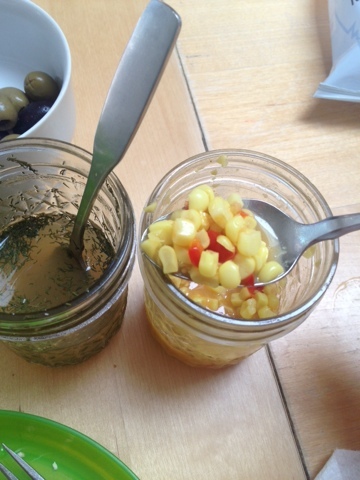 Corn relish is real good!